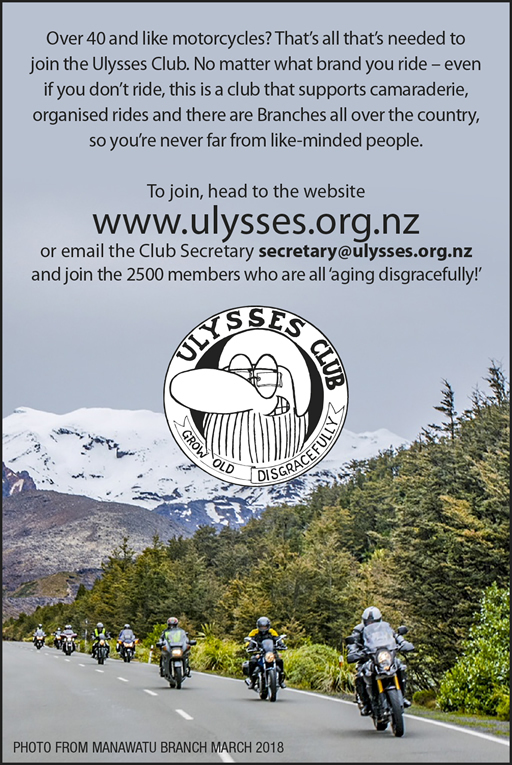 The Ulysses Club of NZ Inc. for older motorcyclists, one of the largest organizations of its kind in New Zealand, is now a familiar part of this country’s riding scene. All of our branches hold regular rides and social get togethers, for more information on events in your region go to the Branches page and either click on the link to your local branch website, or email or telephone the branch contact for more information. Usually they will be able to provide you with a runs list so you can go along. 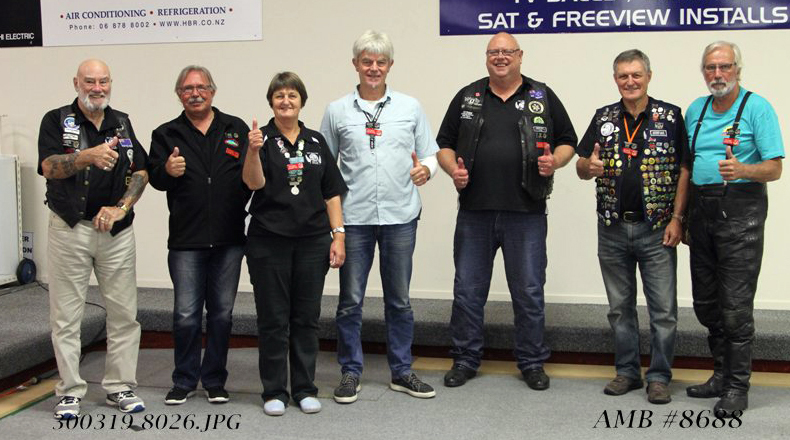 You will find we are a friendly bunch and while we are a club for motorcyclists over 40, the emphasis is more on the social side of motorcycling. Spouses and partners are encouraged to take part in our events. The 2019 National Rally is coming !!! !